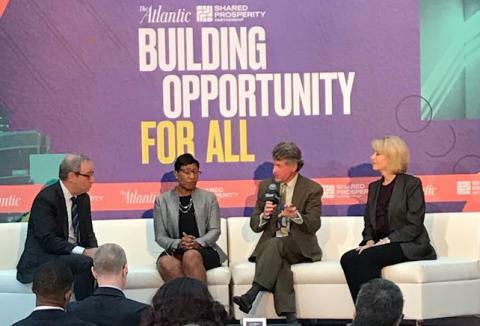 The strength of American cities – and the nation as a whole – depends on generating inclusive growth for people of all races, ethnicities, and incomes. Yet even in our most economically vibrant cities, not all residents are benefiting from or contributing to that growth, resulting in stark racial and economic disparities that are even more extreme in distressed communities. In response, local leaders across the country are innovating new strategies to promote inclusive growth. Many are producing positive but isolated outcomes. To deliver on the ultimate goal of shared prosperity, we hypothesize that cities could benefit from additional resources and support, including the opportunities to learn from one another, secure unlikely allies, and advance scaled solutions within states, across states, and at higher levels of government. 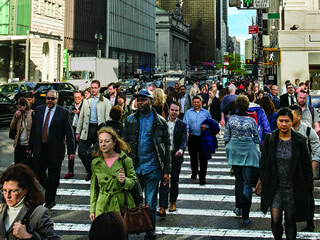 In that spirit, the Shared Prosperity Partnership – a collaboration of the Kresge Foundation, the Brookings Metropolitan Policy Program, the Urban Institute, and Living Cities – seeks to support and accelerate local efforts by adding resources and connecting local leadership with national practitioners and researchers. By promoting inventive and actionable ideas, the Partnership aims to strengthen existing efforts and inform urban policy and practice, ultimately increasing economic mobility and decreasing disparities across races, ethnicities, and genders. At a time of national challenge, the Shared Prosperity Partnership leverages the innovative work of local leaders across the United States to offer a hopeful vision for American civil society, economic competitiveness, and individual well-being. In this paper, we review the three common principles that underlie strategies to ensure shared prosperity in cities and introduce the Share Prosperity Partnership, a joint initiative of the Kresge Foundation, the Brookings Institution, the Urban Institute, and Living Cities, that seeks to accelerate the locally-driven solutions to economic inequality that are emerging in urban communities across America. While the specific approach of each city is unique, all build on the fact that our nation only succeeds when our cities succeed; and our cities only succeed when all of their communities succeed.